Whether you are planning a honeymoon, anniversary vacation or a long weekend getaway, Paris is one of the world’s most romantic places to visit. You will get to choose from many great museums, historic attractions, charming cafes and beautiful parks to explore on your trip. 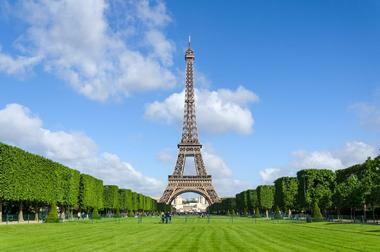 See famous paintings at the Louvre, Musee d'Orsay or the Musée de l'Orangerie, and visit the Eiffel Tower. 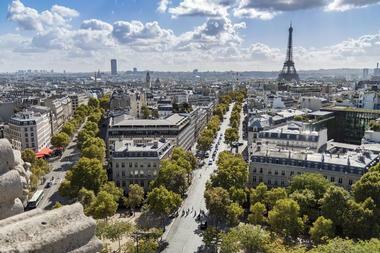 Here are the best things to do in Paris, France. Reflecting on the waters of the Seine across from the Tuileries Gardens, the Musée d'Orsay occupies the former Orsay railway station built for the famous 1900 World Exhibition. The magnificent Art nouveau building, a work of art in and of itself, is the home of the national art collection of France. It displays the work of some of the most important masters from the art nouveau, impressionist and post-impressionist movements from the 1840s to approximately 1914. Stroll through the rich, subtly lit galleries and see the masterpieces such as Manet’s beautiful On The Beach, Monet’s famous Gardens at Giverny, Cézanne’s lovely Card Players, Renoir’s magnificent Ball at the Moulin de la Galette, several paintings of ballerinas by Degas, and so much more. Nothing can prepare you for the magic of the Eiffel Tower. 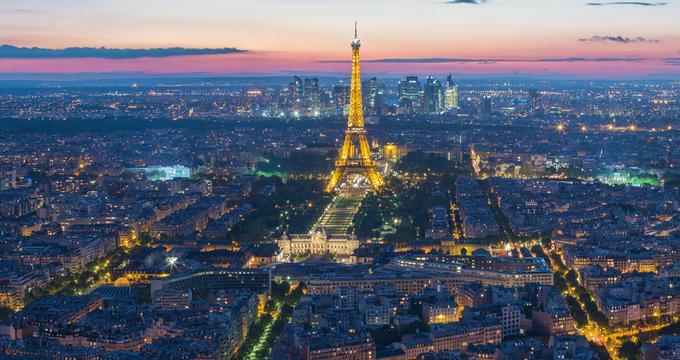 Wherever in Paris you are sure to catch the glimpse of Gustave Eiffel’s 324-meter tower built for the 1889 World Exposition, and it will take your breath away. Admiring the tower from the green field that surrounds it is a truly spectacular experience. You can climb to its first and second floors to get a magnificent view of Paris and spot some of the famous landmarks during the day, or you can see it lit up at night in all its glory. Take a lift to the transparent floor at the top and get a birds-eye view of Paris from the open or closed gallery. Take a glass of champagne from a little bar high up in the sky or have a gourmet lunch or dinner in one of the two upscale restaurants with the city spread out at your feet. Visit one of the several galleries to learn more about the construction of the tower, its history, the lore, and the buildings around it. The Eiffel Tower is one of the best romantic things to do in Paris. Visiting the Louvre is on everyone’s bucket list; it is an experience that stays with you the rest of your life. Built in 1190 as a fortress, the magnificent Baroque palace was renovated in the 16th century and converted into a royal palace. Today, it hosts hundreds of thousands of pieces of art by the most important artists of all times, and it is one of the largest museums in the world. At any given time, there are 35,000 works of art on display. The museum is divided into eight distinct departments, and they have everything from Near Eastern and Egyptian antiquities to paintings, prints and drawings. To help you navigate the enormous museum, download an app for your smart phone or take one of the guided tours to get more in-depth information about the museum's artworks. 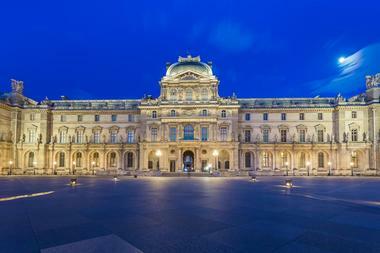 The popular Masterpieces Tour will take you to see the most important works and locations in the Louvre, including the Mona Lisa, the Apollo Sauroctonus, and the Venus de Milo. The timeless beauty of the Gothic Catholic cathedral located on the Ile de la Cité in the middle of the Seine River will astound you. Its construction started in the 12th century and it was not completed until 300 years later. 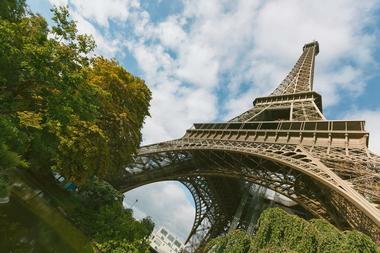 Climb 402 steps inside one of its two much photographed and filmed towers to get a spectacular view of Paris. To visit the towers, you will go through the upper parts of the western cathedral’s façade, which dates from the 13th century. On the way up, check out the grotesque gargoyles, and, higher up, the belfry, the famous church bells, and especially Emmanuel, the giant bell. The entrance to the towers is on the outside of the cathedral, but make time to visit the interior in order to see the spectacular pieces of art and breathtaking stained glass. Located in the Sixth Arrondissement of Paris, the Luxembourg Gardens are a well-known and popular garden between the Latin Quarter and Saint-Germain-des-Pres. 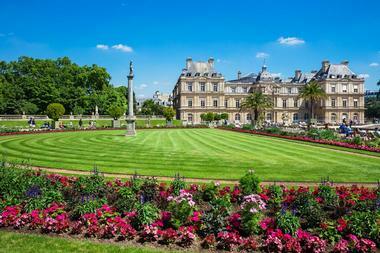 Inspired by the Boboli Gardens in Florence, the 25-acre Luxembourg Gardens were created in 1612 by Marie de Medici, the widow of King Henry IV of France, as a part of her new residence, the Luxembourg Palace. Today, the French Senate makes use of the palace, and visitors enjoy going to the park because of its flowerbeds, tree-lined promenades, the beautiful 1620 Medici Fountain, and much more. It is divided into an English Garden and French Garden with a forest and large pond between the two areas. The River Seine is one of the most famous rivers in the world. It flows from northwest France near Dijon through Paris on its 482-mile (776 km) route to the English Channel; it is a very important commercial waterway. 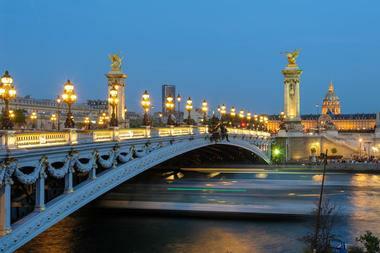 Within Paris, there are 37 bridges that cross the Seine, and the Pont Alexandre III is one of these. Built for the 1900 Universal Exhibition, it is one of Paris’ most iconic bridges with its high pylons topped with gilt bronze statues of winged horses. One of the most popular activities for visitors to do in Paris is to take a river cruise that will allow them to see important historical sights like the Cathedral of Notre Dame and the Louvre. Le Marais is an area of Paris on the right bank, or Rive Droite, of the River Seine near the Cathedral of Notre Dame and the Ile de la Cité. For many years, it has been the historic and aristocratic district of Paris, and so there are many spectacular and significant structures in Le Marais. Le Marais means “marshland” in French; the area was drained in the 12th century and has been inhabited ever since. 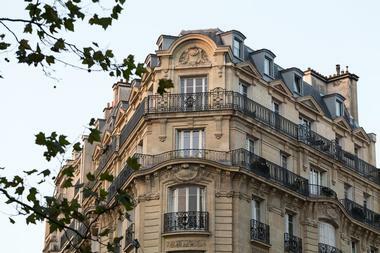 Because of its long history and important buildings, it is one of the most popular areas to visit in Paris. 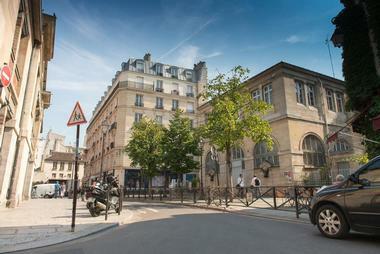 But there’s more to Le Marais than just buildings; it is a trendy area with many clubs, restaurants, shops, and more. Located on Place Charles de Gaulle on the right bank of the River Seine, the Arc de Triomphe is one of Paris’ most iconic monuments. Designed in 1806, the monument was not completed until nearly 30 years later. Inspired by the Roman Arch of Titus, it stands at the western end of the famous Champs-Elysees and honors those who fought and died for France during several wars. The Tomb of the Unknown Soldier from World War I lies under the monument’s vault, and a Memorial Flame burns here. Many bas-reliefs by famous artists decorate the monument, and the most famous is “La Marseillaise” sculpted by Francois Rude. Saint-Germain-des-Prés is a well-known area in the Sixth Arrondissement of Paris on the left back, or Rive Gauche, of the River Seine. It began as a small village centered around the church of the former Abbey of Saint-Germain-des-Pres, which was consecrated in 558 AD. 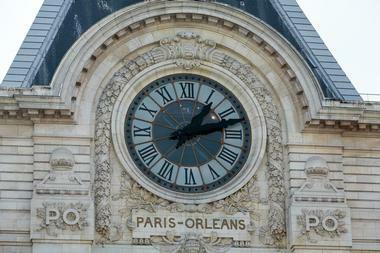 It is home to numerous famous cafes including the Cafe de Flore and Les Deus Magots. 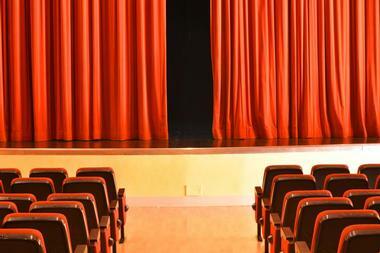 It is also the area typically associated with post-World War II actors, intellectuals, musicians, philosophers, and writers like Simone de Beauvoir, Jean-Paul Sartre, Francois Truffaut, and especially the existentialist movement of the 20th century. Located in the River Seine, the Ile de la Cité is considered by many to be the center and the heart of Paris. It is one of two natural islands in the river, the second being the Ile Saint-Louis. The island has a long history: Roman ruins are located on the island and it remained an important defensive place during the Middle Ages. A palace has been in place on the western end of the island since Merovingian times during the 5th century, and the eastern end of the island has been the location of a place of worship for an equal amount of time. The popular island is the home of the Cathedral of Notre Dame, the Sainte-Chapelle, and more. 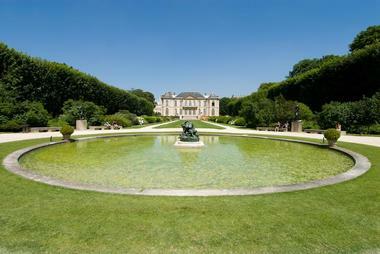 The Musée Rodin, located on Rue de Varenne, is dedicated to the works of the famous French sculptor Auguste Rodin. Opened in 1919, the museum is divided into two locations: the Hotel Biron and its gardens in Paris and Rodin’s former home, the Villa des Brillants in Meudon, located just outside of the city. In addition to more than 6,000 sculptures, the collection includes 8,000 drawings, 7,000 art objects, and 8,000 photographs. Many of Rodin’s most well known sculptures can be seen at the Musée Rodin; these include The Gates of Hell, The Kiss, and The Thinker. The gardens around the museum are naturally landscaped and the sculptures are beautifully displayed here. Located in the old Orangerie of the Tuileries Palace in the Jardin Tuileries, or Tuileries Gardens, next to the Place de la Concorde, the Musée de l'Orangerie is a famous art museum known for its collection of impressionistic and post-impressionistic works of art. The Orangerie was built in 1852 to house the orange trees of the Jardin Tuileries. The museum’s most famous painting is Monet’s set of eight murals called Nympheas or Water Lilies, which he painted in his garden at Giverny. These murals were installed in the museum in 1927. There are other works of art by famous painters such as Cezanne, Matisse, Modigliani, Picasso, Renoir, Rousseau, Sisley, and many more. Montmartre is a hill and a historic district in the 18th Arrondissement in Paris on the right bank, or Rive Droite, of the River Seine. Montmartre is known for its fabulous views of the city from the top of the hill and also for its famous Basilica of the Sacre Coeur. The other older church in the district is called Saint Pierre de Montmartre. This district became famous during the Belle Epoque era at the beginning of the 20th century because it was the place where many painters established their studios. These artists included Dali, Modigliani, Mondrian, Monet, Picasso, Pissarro, van Gogh, and many others. Montmartre is also the home of the world famous Moulin Rouge. There is no wrong way to explore Paris, but a quiet evening on board the elegant Don Juan II as it floats down the River Seine is certainly unique. The Don Juan II was designed to combine opulence with the elegance of an authentic yacht. Its new decor in an art deco style, designed in collaboration with renowned Pierre Frey, brings to life the golden age of luxury transatlantic ocean liners. 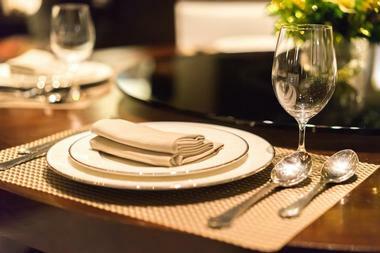 The cruise includes a gourmet dinner prepared by Chef Guy Krenzer, who unveils unique flavors with a touch of extravagance in an inspired unique cuisine that reinterprets the “Palace” spirit. As you enjoy your superb meal and great wines, you will be taken past some of the most iconic Paris structures and attractions, creating a truly unique experience. Learning about French wine will take you a long way towards understanding French people and their culture. 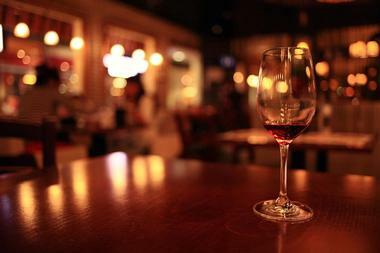 Wine pays an important role in the way the French enjoy their meals, socialize, and relax. Wine Tasting in Paris offers a two and a half hour-long crash course of French wine appreciation. Their tasting room is located in a tiny old house on a narrow cobblestoned street in the heart of the Latin Quarter. An experienced oenologist will greet you and then take you on a virtual tour of the most important wine regions in France, from Burgundy to Champagne and from Cote du Rhone to Bordeaux. You will learn how to select the right wine in a restaurant, how to appreciate a high quality wine, how wines are made, the major differences between wines, and so much more. Order a plate of cheese of charcuterie to complete your culinary French experience. The Jardin des Tuileries, or the Tuileries Garden, is a public garden on Rue de Rivoli between the Place de la Concorde and the Louvre Museum in the First Arrondissement of Paris. 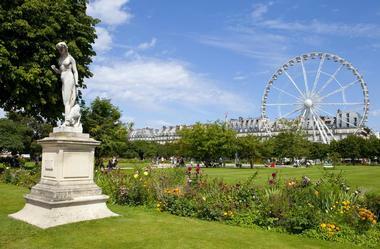 It was created by Catherine de Medici in 1564 as the garden for her Tuileries Palace. Later, in 1667, it was opened to the public, and it became a public park after the French Revolution. For several hundred years, especially during the 19th and 20th century, it was a popular place for Parisians to meet, relax, and walk. Features of the garden include numerous sculptures, two ponds, the Musee de l’Orangerie, labyrinths, and the Arc de Triomphe du Carrousel. A big part of visiting Paris is eating your way through the colorful markets, charming bakeries, and adorable sidewalk bistros. 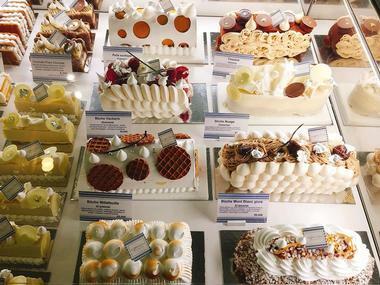 The French know how to enjoy food, and they certainly know how to cook. So why not take the opportunity to learn to cook some of the delicious goodies you have been enjoying in Paris and recreate the experience when you get back home? There is so much to see in Paris and never enough time to see it all. The best way to take in as much as possible is by walking through narrow cobblestone streets, the various parks and cemeteries, and the many quarters. And if you take one of the Sight Seeker's Delight Unique Walking Tours, you will not only visit some of the most important spots in Paris, but you will also learn about the attractions’ history and anecdotes, walk through secret passages, and discover much about this fascinating old city. All tours are walking and take from two and half to four hours. There is also a limo tour if you have very little time and just want to see everything in one sweep. 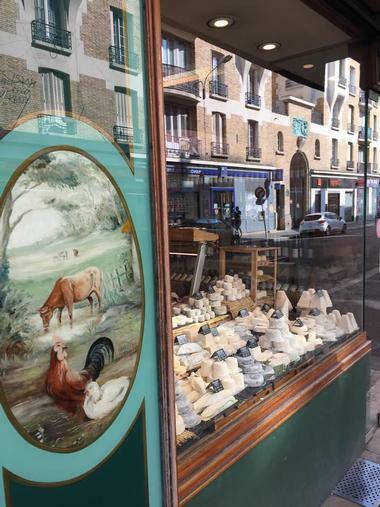 Choose to stroll along the Seine, visit Montmartre or the Jewish quarter Marais, take a night attraction tour, visit the famous Pere Lachaise Cemetery, or indulge in a food tour. The guides are knowledgeable and speak excellent English, so ask away. Pictours Paris offers visitors to Paris much better souvenirs of the City of Light than what you would get from your selfies. Professional photographer Lindsey Kent and her husband Justin, originally from Colorado, offer to take you to the most romantic spots in Paris and take beautiful, memorable photos of you and your travel companions. 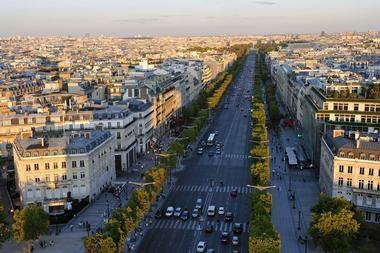 The Avenue de Champs-Élysées is one of the most famous and one of the most beautiful avenues in the world. It is located in the Eighth Arrondissement of Paris and runs for 1.2 miles (1.9 km) from the Obelisk of Luxor at Place de la Concorde to the Arc de Triomphe at the Place Charles de Gaulle. The avenue is known for its cafes, restaurants, theaters, and upscale boutiques and shops, and for the military parade held each year on July 14 to celebrate Bastille Day. Champs is French for “fields” and Élysées refers to the paradise for dead heroes in Greek mythology. The avenue was also the scene of victory parades to celebrate the end of World War II. Why not end your day of exploring Paris with a more relaxed but no less exciting tour: let Calife Dinner and Cruise show you the city from the deck of the renovated super luxurious steam boat Kromhout built in 1939. As you slowly float under the famous Paris bridges and admire the historic buildings that are hundreds of years old, you will enjoy the opulent décor and indulge in Chef Dadi’s famous cocktails and cuisine. 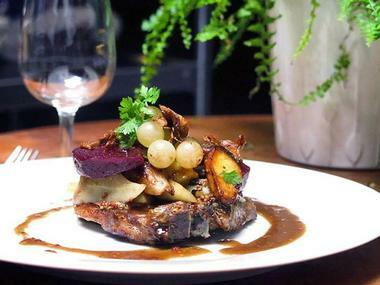 Choose between classic French dishes or exotic dishes from all over the world. If you think Paris is magical during the day, you will be mesmerized by its charm as the lamps light up the banks of the City of Light. Located in the Marais district of Paris between the Third and Fourth Arrondissements, the Place des Vosges is one of the oldest and most beautiful squares in the city. Built by King Henri IV between 1605 and 1612, it was originally known as the Place Royale. What made it unusual at the time of its construction was the fact that all of the fronts of the houses surrounding the Place were of the same design, and many cities employed this concept throughout the following centuries. Today, visitors walk around the central garden and enjoy the red brick facades, the shops, and the historic houses that have been made into museums. The Musée Marmottan Monet, located on Rue Louis Boilly in the 16th Arrondissement of Paris, is famous for its extensive collection of works of art by Monet as well as works of art by other impressionistic and post-impressionistic painters. The museum was originally a hunting lodge owned by the Duke of Valmy that was located at the edge of the Bois de Boulogne. Purchased by Jules Marmottan, it eventually became an art museum thanks to art donations from the Marmottan family and other benefactors. The museum contains over three hundred works of art and the world’s largest collection of works by Monet. Other artists represented include Degas, Gauguin, Manet, Pissarro, Renoir, and more. Located on Boulevard Haussmann, the Musée Jacquemart-André displays art collected by Edouard Andre and his wife Nelie Jadquemart in their home. The mansion was built between 1869, and 1875 and the building and the works of art were donated to the Institut de France as a museum that was opened to the public in 1913. The museum is divided into several areas, including the State Apartments, which exhibit works by French painters, and the Informal Apartments, which display smaller refined works and decorative art. The most important area is the Italian Museum with sculptures by Donatello and Della Robbia, and paintings by Bellini, Botticelli, and Ucello’s St. George and the Dragon.